Water is critical for socio-economic development, energy and food production, healthy ecosystems, and human survival. Although 2.6 billion people have gained access to improved drinking water since 1990, far too many people still lack access to safely managed water supplies. Water scarcity affects more than 40 percent of people around the world, an alarming figure that is projected to increase because of drought, desertification and the rise of global temperatures as a result of climate change. By 2050, at least one in four people is projected to be affected by recurring water shortages. Corruption hinders progress on ensuring availability and sustainable management of water. Many of the SDGs can only be met if the water sector is free from all forms of corruption. While the scope of corruption varies substantially across the sector and between different countries, estimates by the World Bank suggest that 20 to 40 percent of water sector finances are being lost to corrupt practices. A UNDP report highlights that key corruption risks in the water sector include collusion, contract variation and re-negotiation, bribery and embezzlement, elite capture, nepotism, and political mismanagement. ‘Corporation Water’ available for 4 hours a day, is the only source of water for the hundreds of families dwelling here. With so little supply and so many takers, fierce quarrels and fights are regular affairs. Photo by: Sandipan Mukherjee, WIN Photo Competition 2019. In many contexts, women and girls carry the main responsibility for domestic water management. As such they are directly affected by lack of access to safe water for consumption and they lose time for productive or educational purposes due to the need to fetch water and care for sick family members. However, women also tend to be disadvantaged in decision-making related to public water management – from the community level to the national and international level. For example, women are underrepresented as professionals in water governance and management – only 7 percent of all ministers of water and natural resources are women. Women, who make up the majority of the world’s poor, are most often the main victims of corruption, disproportionately bearing the brunt of corrupt practices in the water sector. According to Cap-Net and the Gender and Water Alliance 2014 report, women are often the victims of corruption risks such as petty bribery or sextortion in informal water networks, as they are typically expected in many developing countries to fetch water, cook, clean, wash and care for the sick. Moreover, the under-representation of women in water governance further impacts transparency, accountability and integrity in the water sector. There is a need to adopt a gendered perspective to tackle corruption in the water sector, yet the link between anti-corruption, gender and water is not sufficiently researched and recognized. The development community should focus on the following priorities to bridge the three streams of work – water, anti-corruption, and gender. First, focus should be placed on the governance approach to water sector management. 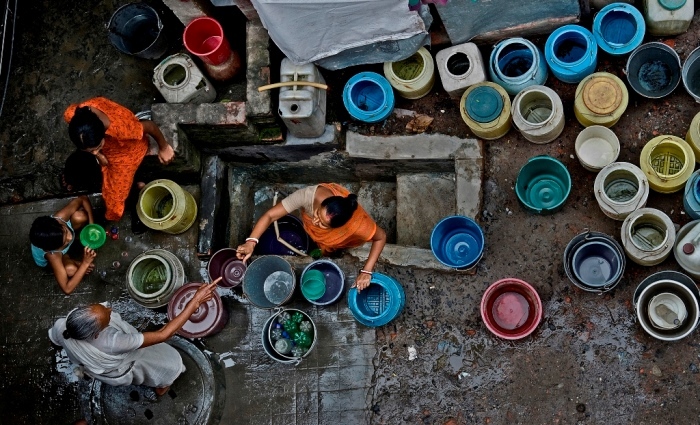 Water reform programmes often tend to rely on management approaches to resolve major problems. Yet, unequal and unsustainable access to water is often attributed to corrupt practices, dishonesty, and malpractice. Tackling these issues requires an approach which strengthens oversight, transparency, ethical business values, and multi-stakeholder participation to improve service delivery and resource management. Second, both anti-corruption and water management and governance strategies need to integrate the gender perspective. Removing structural barriers to women’s economic empowerment; preventing and responding to gender-based violence; and promoting women’s participation and leadership in all forms of decision-making could contribute effectively to both water governance and preventing corruption in the water sector. For example, a project in the Philippines shows how women’s empowerment, voice and accountability are linked to improved service delivery in the water sector. Third, research is needed on how to better mainstream gender and anti-corruption in water governance. Gender analyses, gender-disaggregated data and gender-specific research will help understand the links between anti-corruption, gender and the water sector. Research on how corruption manifests itself in the water sector, including the disproportionate impact of corruption on women and girls, such as health and security risks related to water fetching, can shed light into the forms and scope of corruption in the water sector. Research is also needed on how to better mainstream gender and anti-corruption in water governance. Fourth, new technologies provide solutions in tackling corruption in the water sector from a gendered perspective. For example, satellite-based monitoring capabilities, which have already been used to map out water scarcity and other problems, could allow us to track movement of daily activity in water fetching, which could serve as an innovative way of collecting gendered indicators. Given that the 2030 Agenda for Sustainable Development is world’s first comprehensive blueprint for sustainable development, synergies should be built between Goal 5 ‘Achieve gender equality and empower all women and girls’, Goal 6 ‘Clean water and sanitation’ and Goal 16 ‘Peace, justice and strong institutions’, by fostering greater synergies. In UNDP, we are trying to bring together all three streams of work together so that both gender and anti-corruption are an integral part of water governance and management strategies. The development community, however, needs to do more to provide concrete policy and programming guidance to address the ‘missing middle” problem – the links between water integrity, gender and corruption.